Kuching – 9 May 2017. Research institutions and agencies in the State are urged to evaluate and prioritise their research products that have market viability, can be commercialized, and bring about social benefits.Assistant Minister for Education & Technological Research & Assistant Minister for Housing and Public Health for Sarawak, Dr Haji Annuar bin Rapaee said that the State has long encouraged science and research to bring about new discoveries, and has come to stage where tangible and impactful results from research can be harnessed to drive towards commercialization of products. Speaking at the opening of BioBorneo and Bioeconomy Day 2017, Dr Annuar said that Sarawak has put in place initiatives to drive R&D in sectors including agriculture, forestry, medical, natural products and crops to enhance the development of local bio-based products. 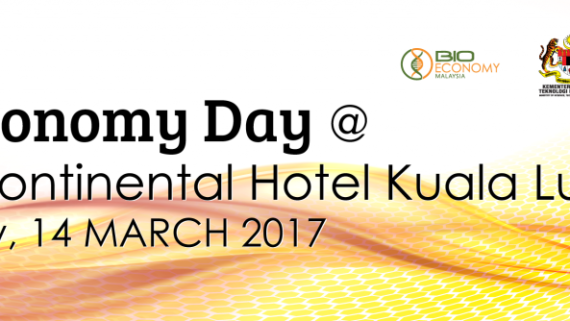 The BioBorneo and Bioeconomy Day 2017 took place in Kuching on 9 May 2017 and was organised by the Ministry of Science, Technology and Innovation of Malaysia (MOSTI), Malaysian Bioeconomy Development Corporation (Bioeconomy Corporation) and the Sarawak Biodiversity Centre. BioBorneo serves as a platform to disseminate information on current bioeconomy R&D efforts and related business potential, along with sharing on bioeconomic transformation programs and implementation in Malaysia. 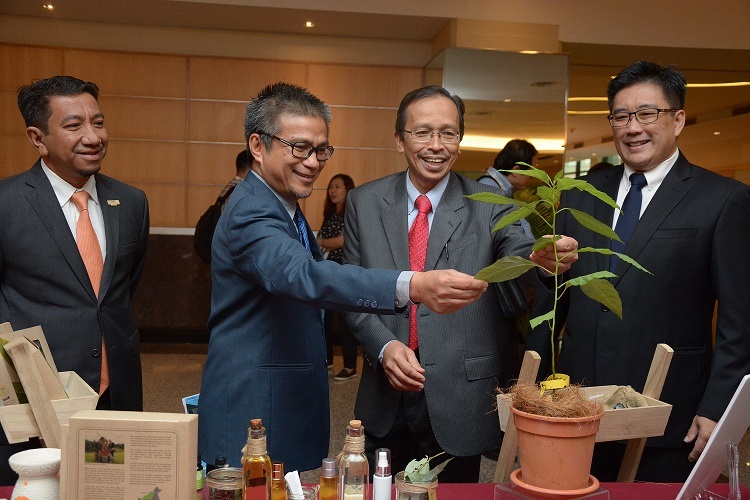 The inaugural BioBorneo was held in Sarawak in Year 2012, and has since been hosted alternately between Sarawak and Sabah, annually. Meanwhile, Tuan Syed Agil Syed Hashim, Acting Chief Executive Officer of Malaysian Bioeconomy Development Corporation said that bioeconomy has an important role to play in the Fourth Industrial Revolution or Industry 4.0. “Harnessing bioeconomy’s full potential requires advancement in scientific and technological innovations that can be measured in terms of economic development and societal wellbeing. With that in mind, today’s event marked the onset of the first Bioeconomy Community Development Program (BCDP) in Sarawak, focusing on bio-based solutions for both smallholders and industry players that will provide competitive advantages to the state’s economy,” he added. Worldwide, technologies are converging and becoming more integrated than ever, rising into a new development called the Fourth Industrial Revolution (4th IR). 4th IR is the coming together of the virtual, biological and physical systems. Key technological advances drive this revolution, including artificial intelligence, the convergence of nanotechnology, biotechnology and healthcare, 3D printing and the Internet of Things (IoT). This year’s BioBorneo theme was “Driving Bioeconomy for Rural Transformation” and comprised of two plenary sessions to discuss trends in driving a bioeconomy towards rural transformation, and emerging technologies. The first session moderated by Professor Clem Kuek, Dean for R&D, Curtin University Malaysia focused on biomass conversion to useful applications, and eventually enabling rural transformation. An active discourse took place between the panelists – Sylvester Wong the CEO of Olive Energy Sdn Bhd, Alex Baker of Leaf Development LLC and Timothy Wong from Agensi Inovasi Malaysia. During the second plenary session, emerging technologies in healthcare, aquaculture and digital technology were discussed. Moderated by Associate Professor Dr Peter Morin Nissom of Swinburne University of Technology Sarawak, the session featured Ahmad Helmi Abdul Halim, the Senior Director of MIMOS Berhad, Jay Padasian who is the Senior Vice President of Healthcare Bio at Bioeconomy Corporation, and Dr Collin Shelley, the CEO of Neo Crab. 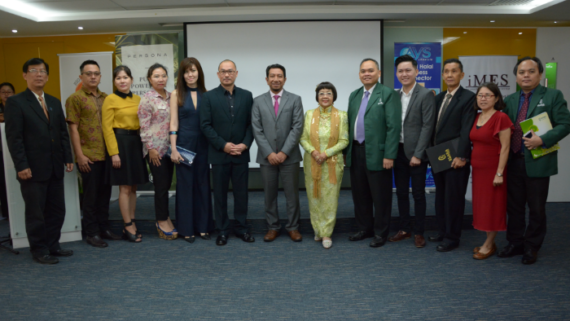 The Bioeconomy Day workshop held later in the afternoon revolved around bioeconomy programs and initiatives run by the Bioeconomy Corporation of Malaysia. The workshop conducted in group breakouts discussed the Bioeconomy Community Development Program (BCDP), identification of opportunities under the Bioeconomy Transformation Program (BTP), opportunities for commercialising R&D via technology support and facilitation for human capital, funding, regulatory and SME development. 250 participants took part in the event, comprising of researchers from government agencies and universities, government officials, members of village cooperatives and entrepreneurs.